One reason Benjamin Moore & Co. consistently delivers the kind of quality that customers have known & rely on is the ongoing, rigorous, scientific testing to which all our products are subjected. More than one hundred chemists, chemical engineers, technicians and support staff maintain Benjamin Moore & Co.'s stringent product standards as well as develop new products. Our technical staff operates out of eight team-based laboratories at the company's 80,000 square foot Technical & Administrative Center, located in Flanders, NJ. Each lab, equipped with state-of the art instruments, focuses on a specific area of coating expertise. 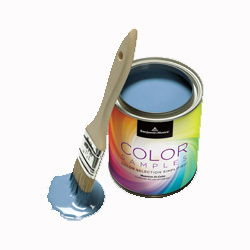 Together, they develop all Benjamin Moore paint formulas. All the laboratories work along with Benjamin Moore & Co.'s manufacturing plants and marketing department to address the varied needs and demands of the professional, commercial, industrial, and do-it-yourself markets.